With nature as inspiration, Craftsman architecture stands out for its purity of style. Craftsman-style homes are known for their attention to timeless architectural details and quality craftsmanship. Take a tour, you’ll find a home that you’ll love to come home to. 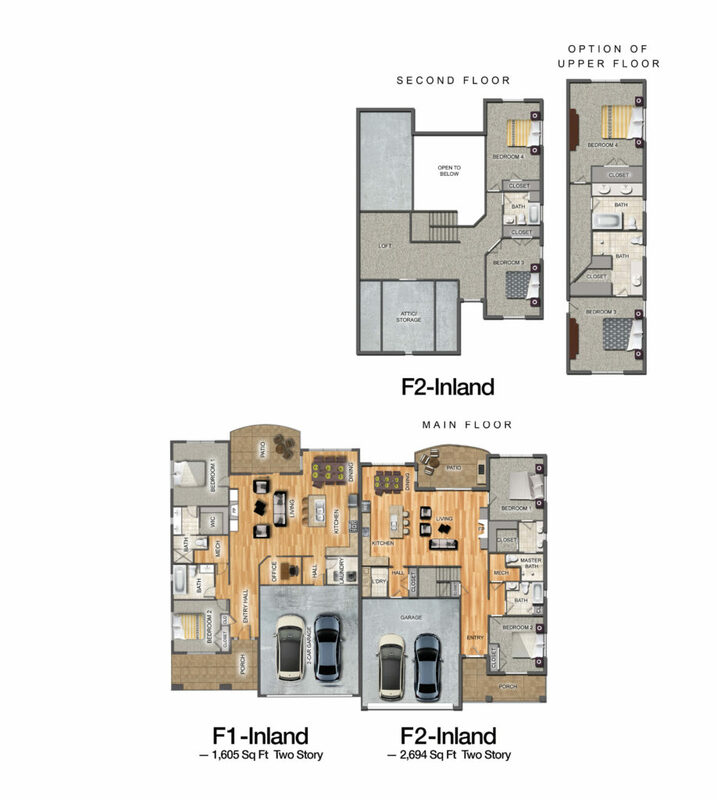 Superbly designed floor plans allow for large, open rooms with the perfect space to entertain family and friends. 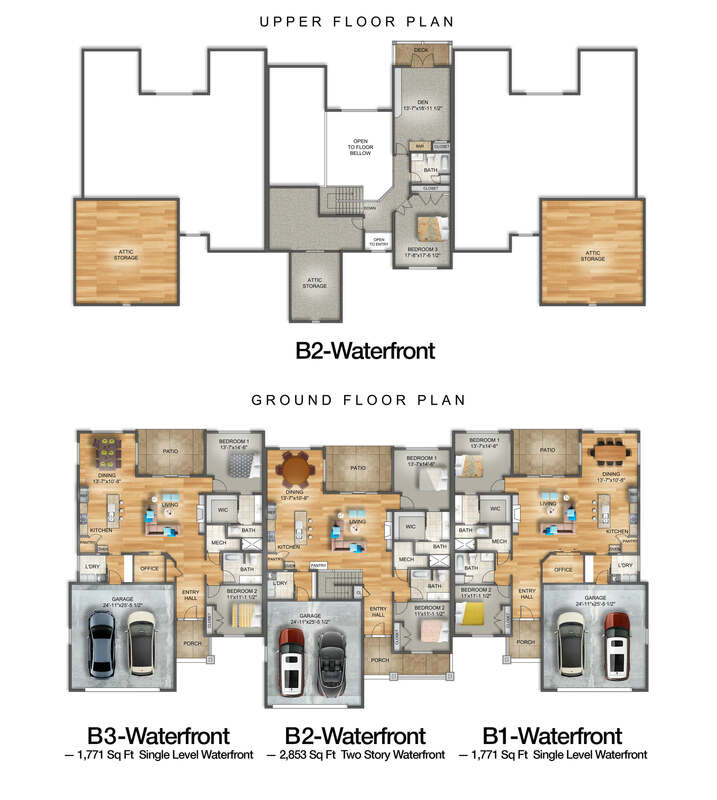 Waterfront Single-Story (2 Bedroom, Pocket Office and 2 Bath). 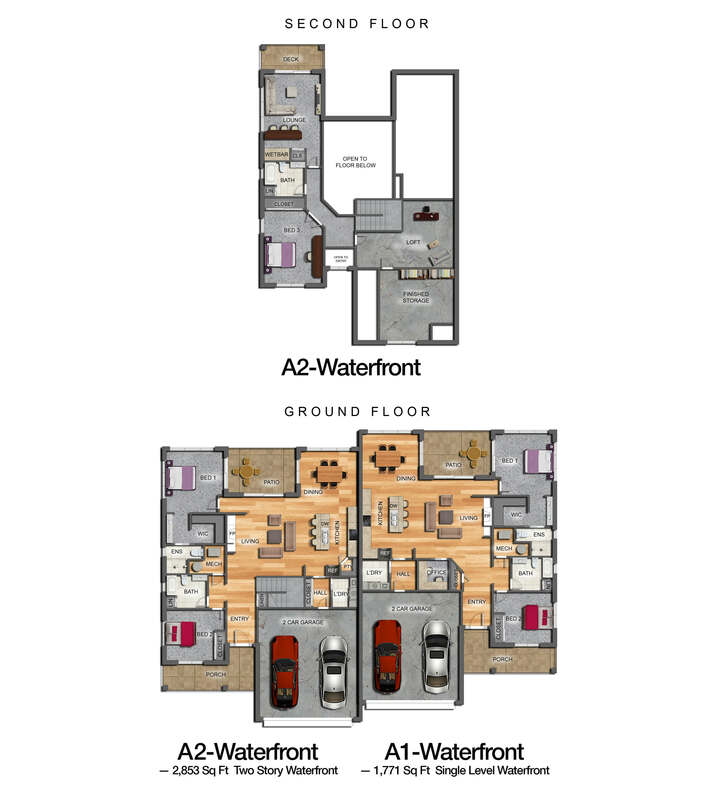 Finished Waterfront Single-Story (2 Bedroom, Pocket Office and 2 Bath). Ready to design yourself. Base model with upgrades available. Ready to make your own choices: Base model with upgrades available. Ready to customize. Base model with upgrades available. Ready to design. Base model with upgrades available.